The least I can say at this point is well done, Valve. Not only did they release the DLC for free through Steam – something rarely seen with regards to DLC for most other full retail games, unless you’re willing to pay through the nose for some extremely short addition to a story you’ve already completed – but they released something that was fully voice acted, cleverly written, incredibly challenging, and bloody funny. 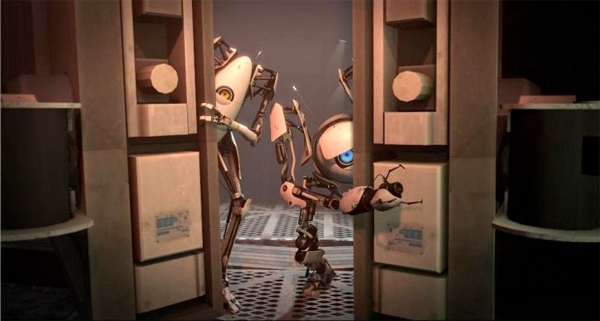 We had an absolute hoot making our way through the surprisingly tough test chambers, with an unexpected over-arcing storyline in the background, of which our only knowledge or explanation of was through the diabolical and schizophrenic computer mind of GLaDOS, everyone’s favourite genocidal maniac mastermind. The micro-story ties in brilliantly with certain events from the single player story, and yet in a way you might never ever suspect. 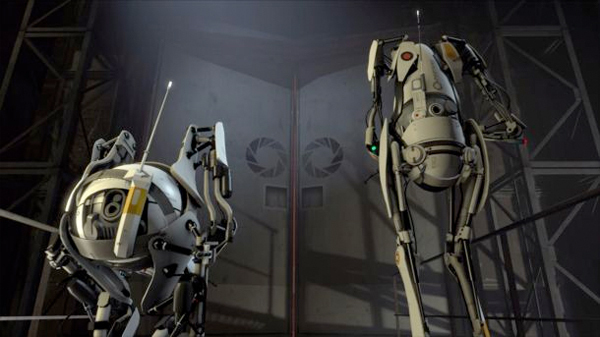 Promises are made, concerns are shared, and instructions are given – profusely – and without GLaDOS’s expert script and hilarious delivery, I’m not sure this DLC would have been even half as special as it is, because for free DLC to convey this much care, detail, and attention, it simply blew our minds. It’s funny, fresh, and kept us playing until 1.30 in the morning, despite our eyeballs damn-near screaming in pain at the unblinking, unrelenting determination to stay focused on the screen and solve every last puzzle. Get it, play it, enjoy it. Go! This entry was posted in Game Reviews and tagged dlc, peer review, portal 2, steam, valve. Bookmark the permalink.